Many clients working with remodeling companies like ours are looking for what’s called design and build services. These are homeowners looking for award winning architects for home design and renovations ideas that will make them the envy of their neighbors. Some want a contemporary architect for a thoroughly modern home, others want a more classic colonial home renovation. Unfortunately, some homeowners will also try and save money by hiring cheap contractors. And trust us, most remodeling companies have been begged to take a last-minute job to clean up someone else’s bad work. Too many sketchy contractors want to make a quick buck with shoddy work. But here’s the hard truth about these situations — not all failed contracting jobs are the result of criminal intent. Sometimes, it’s just incompetence. This year, 60% of U.S. homeowners say they are finally ready to spend more on home improvements. In a 2013 Houzz survey, just 40% of homeowners said they were financially prepared to hire remodeling companies. So if you’re one of the countless Americans who’s been saving up for home remodeling, then it’s important to know the risks. Sometimes a homeowner will hire an earnest contractor offering a great deal. In other cases, a friend recommends someone they know personally, a great guy who could use the work. But when it comes time to finish the job, it’s a disaster. The workmanship is poor, materials and trash get left on the property, and important tasks are left half-finished. The ugly truth is that some contractors bite off more than they can chew. They take a job truly believing they can do a great job. Even if they’re personally skilled, managing the home remodeling process takes experience. You need to know how to hire the right workers and where to purchase the best materials in addition to practicing safety on job sites and managing time on a project wisely, among other factors. 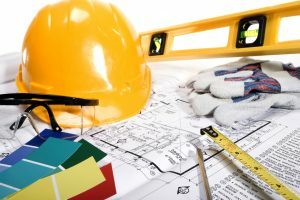 How To Choose an Architect for Whole Home Renovation? When it comes to residential design and build remodeling, the experience is key, and you don’t want to hand over the keys to your home to just anyone. You need to look for home remodeling companies with a proven reputation for home design and renovation projects. You might be able to find cheap labor, but ultimately you get what you pay for in the end. Look for remodeling companies with a highly professional web presence. The best design and build companies are proud of their remodeling portfolio and eager to work with you to turn your family’s home into the home of your dreams. The best architects know how to balance their experience and your wishes, then turn them into reality — on time and on budget. In addition to references, the company should have a local reputation for excellence. Choose the Right Architect, and Your Remodel Could Pay For Itself… If you want to invest in your future, then a whole home renovation is a safe investment. Even partial renovations can have big effects. The average bathroom remodel has a return on investment rate of 63.6%, while kitchen remodeling can bring an ROI of 73%. Not only will these projects increase your home’s value, but inspiring interior design architecture can improve your mood and quality of life to boot.